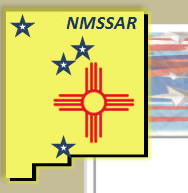 The NMSSAR is involved in various awards programs, including essay contests and Arthur M. & Berdena King Eagle Scout Scholarship program. Future awards will be presented on this page, as well as entry requirements for future competitions. Arthur M. & Berdena King Eagle Scout Scholarship Program: This program is open to all Eagle Scouts who are currently registered in an active unit and have not reached their 19th birthday during the year of application. (The application year is the calendar year, 01 Jan. to 31 Dec.) The year that Eagle was awarded is not restricted. College plans do not need to be completed in order to receive the cash scholarship. Three cash scholarship awards are given: As the National First Place winner - $8,000.00; Runner-up - $4,000.00; 2nd runner-up - $2,000.00. You may apply more than one year if you meet the age requirements but no more than $8,000.00 total may be granted to any one Eagle Scout. Entrants need to complete only one application -- the one for the chapter competition. If it is a winner it is then used for the state competition, and if it is a winner again it is used for the national competition.